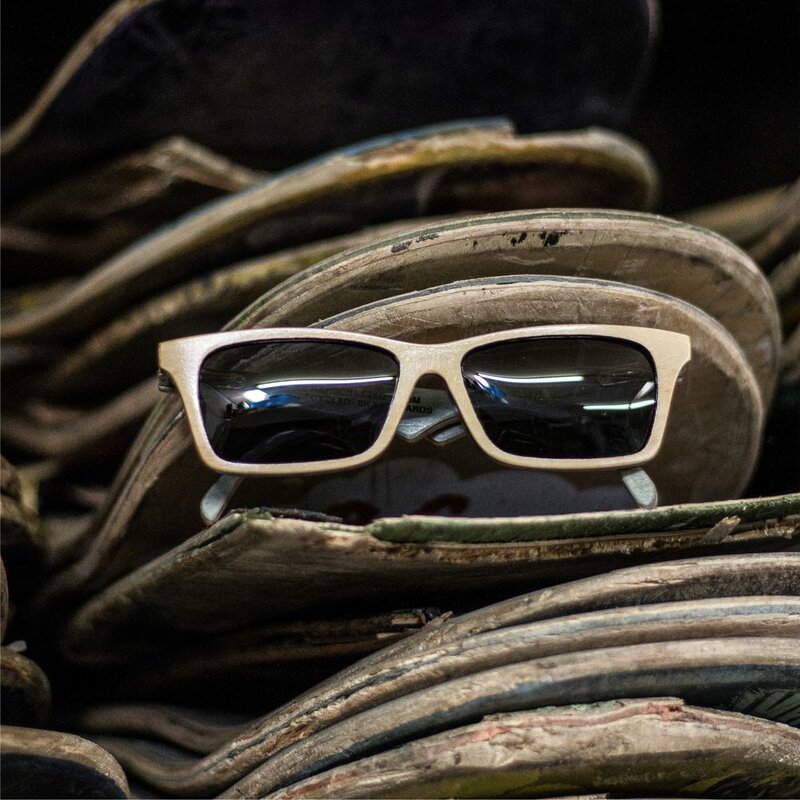 We source our recycled skateboards from local Colorado Skate Shops. Most of our decks come from Rob at Colorado Springs BC Surf and Sport. BC shop riders come into the shop to replace their broken decks; some riders break a deck a week! As long as skateboarders keep pushing their limits, there will be no shortage of broken decks! Once we get the broken decks, we can laser-cut 6 frames from the flat-part of each deck. The curved ear pieces are fashioned from the curved nose & tail. The frames and arms are sanded and soaked in a rubber-infused strengthening agent. A clear-coat gloss finish further protects the maple and reveals the skateboard’s natural vibrant colors. Frames are fitted with anti-glare Polarized lenses direct from Polaroid™. Stainless-steel hinges are added for a perfect fit. Complete customization is available including color-matching, styles and engraving. We offer 4 styles and 10 color options. Each pair is one of a kind.